This week #SundaySupper is going retro! That’s right, this week the theme is retro recipe then and now. At first I had no idea what to make. 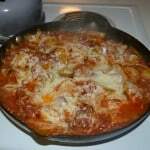 I make mostly modern recipes and don’t often cook retro because of the fat and calories in many older recipes. 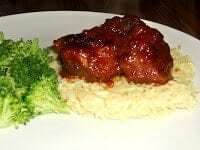 While searching for recipes I can across Porcupine Balls. Do you know the recipe I mean? I used to eat these fairly often as a child but I bet I haven’t had them in over 20 years. I was talking about them at work the other day and only about half the people there knew what I was talking about. They aren’t anything fancy, simply meatballs made with rice. That’s it! I did a little research to see when these were most popular and it looks like they first came about in the 70’s but were popular into the 80’s when I was a child. The meatballs are supposed to be formed into extra large meatballs. I made them large but not nearly as big as I remember them because I wanted to be able to eat them. Because they have rice in them there’s no need for a side dish. I served mine with a side salad. It really brought me back to my childhood. What dish makes you think of your childhood? Would you try to recreate it nowadays? 1. 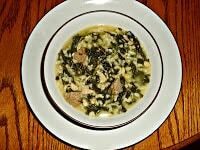 In a large bowl combine the ground beef, rice, garlic, egg, oregano, and black pepper. Mix well using your hands. 2. Form into 10-12 large meatballs. 3. Heat the oil in a large skillet over medium heat. Brown the meatballs on all sides. 4. 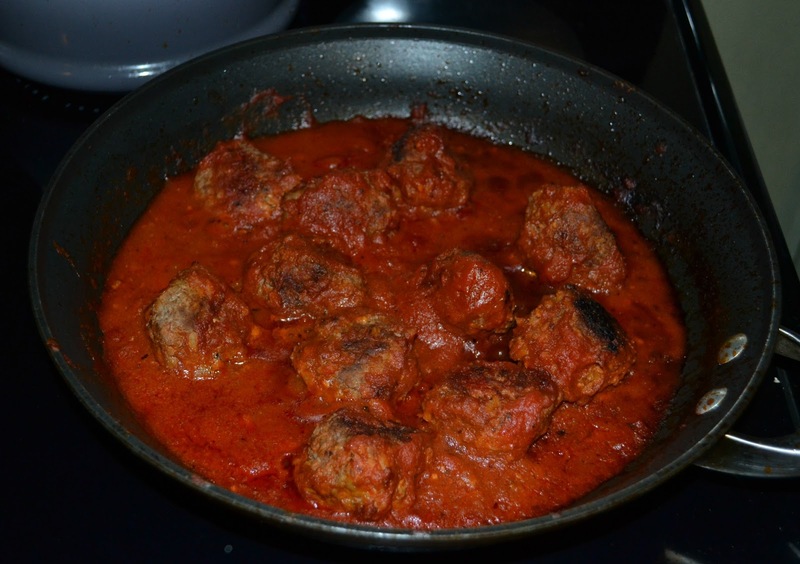 Pour the marinara sauce into the pan and simmer for 30-45 minutes or until the meatballs are cooked through. I totally forgot about porcupine meatballs! Great idea! Love your recipe! There’s a Mexican version that I grew up with…but these sound even better! My mom used to make these…but I think she used a can of tomato soup! I loved them…but love your marinara version even better! YUM! Great to have in the fridge for leftovers. Yesss!!!! My mom used to make porcupine balls allll the time, and they were one of my favorite meals for sure! I feel a little deprived, I always here people talking about eating these growing up and I have never had them. I think that needs to change, because I love meatballs. My grandmother used to make these! LOVE them! I always forget the addition of rice, what a staple that is. I love meatballs and these look so good!! I absolutely love these! 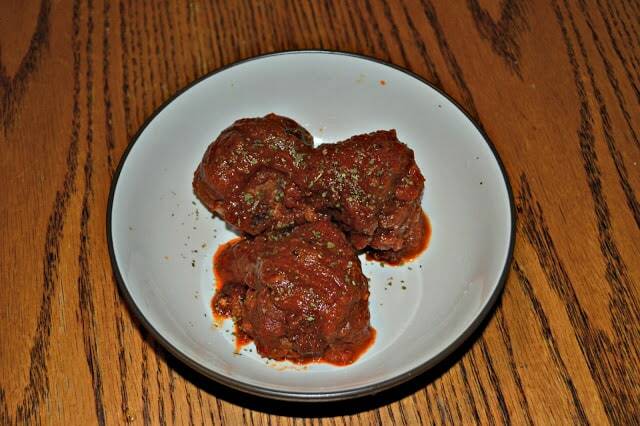 I am a huge meatball fan, and these are my favorite. We used to have them all the time growing up! I have never heard of porcupine meatballs before. SOunds kind of good though. I love that these have rice in them. Yum! These look delicious! I wonder if you could bake them in the oven like I do my meatballs for spaghetti and meatballs? Such a fun dish! I am going to have to make these for the kids! I bet they would love them! 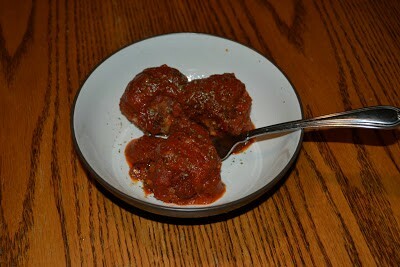 I make Porcupine Meatballs often, my family loves them! We do ours with Beef Rice A Roni and have a beefy sauce served over mashed potatoes. Delish! 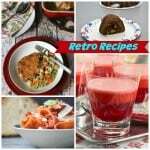 I’ve had so much fun looking over your retro recipes! I haven’t had these in forever! I used to make them all the time for my family, but somehow they fell off of my menu planning and haven’t been on it in probably 15+ years. Thank you for sharing them…I’m gonna have to plan these in the coming weeks. I’ve never heard of porcupine meatballs but they look delicious! I love a good meatball and it’s actually pretty brilliant to just stick the carbs inside. Yum! I’ve eaten my share of meatballs over the years but I haven’t heard of porcupine ones. Interesting with the rice. Nice that it makes a meal with a salad. I don’t care what you call it. A good meattball is a good meatball and this looks like a fantabulous meatball. Love that you made it with rice. Yummy and declicous! my grandmother used to make these but the size of baseballs excellent meal always liked them. I didn’t know that porcupine meatballs were rice meatballs! Apparently my mom makes them all the time for New Year’s dinner. Gotta say that I’ve never heard of porcupine meatballs, but they sound pretty good! I’m a meatball lover of all kinds!